This cemetery is on the south slope of Mt. Shannon (often referred to as Little Mountain), 4 km east of Chilliwack off Yale Road East. Formerly known as the IOOF and Anglican Cemeteries. 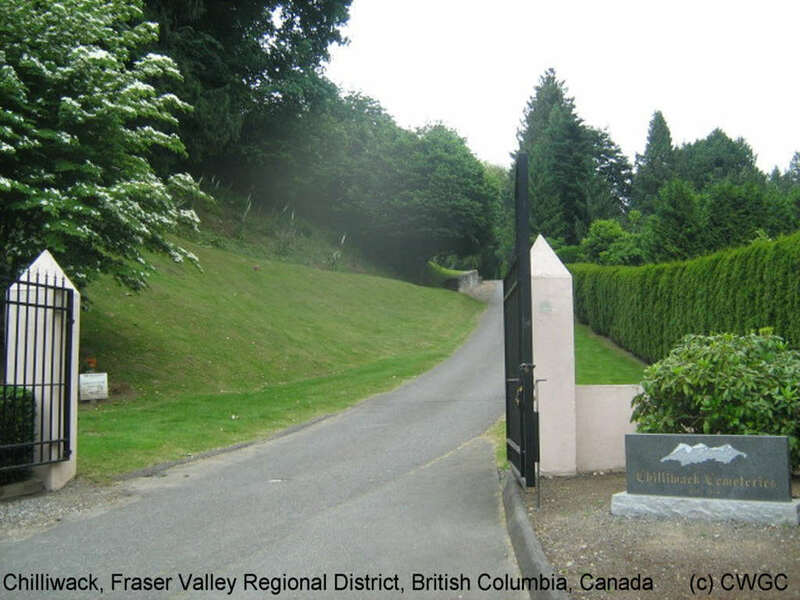 Chilliwack is 103 kilometres east of Vancouver and the cemetery is about 3 kilometres further east, on a shoulder of Little Mountain. It contains 1 grave of the 1914-1918 War in which is buried a soldier of the Canadian Army.